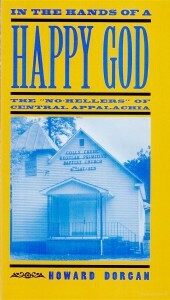 In this book Howard Dorgan introduces the faith, practices and history of the Primitive Baptist Universalists of Central Appalachia. “Among the many forms of religious practice found in the ridges and hollows of Central Appalachia, one of the most intriguing — and least understood — is that of the Primitive Baptist Universalists (PBUs). 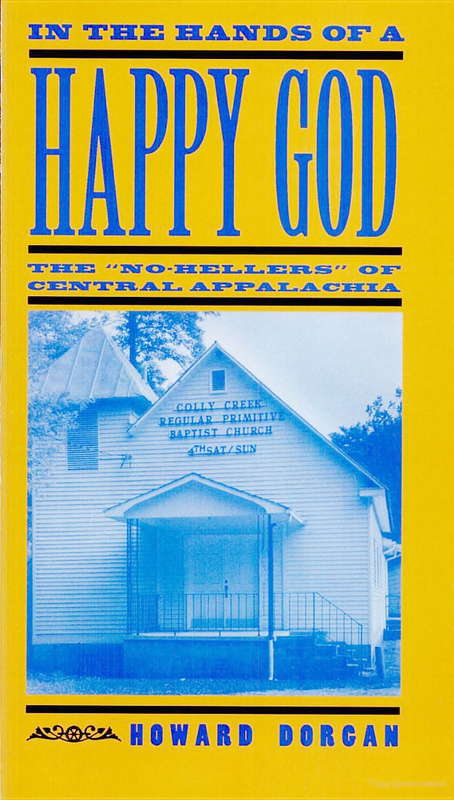 Popularly known as the No-Hellers, this small Baptist sub-denomination rejects the notion of an angry God bent on punishment and retribution and instead embraces the concept of a happy God who consigns no one to eternal damnation. This book is the first in-depth study of the PBUs and their beliefs. As Howard Dorgan points out, the designation No-Heller is something of a misnomer. Primitive Baptist Universalists, he notes, believe in hell — but they see it as something that exists in this life, in the temporal world, rather than in an afterlife. For a PBU, sinfulness is the given state of natural man, and hell a reality of earthly life — the absence-from-God’s-blessing torment that sin generates. PBUs further believe that, at the moment of Resurrection, all temporal existence will end as all human-kind joins in a wholly egalitarian heaven, the culmination of Christ’s universal atonement. Read more about the beliefs of Primitive Baptist Universalists here.